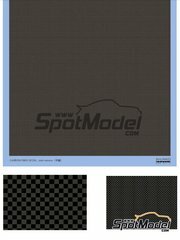 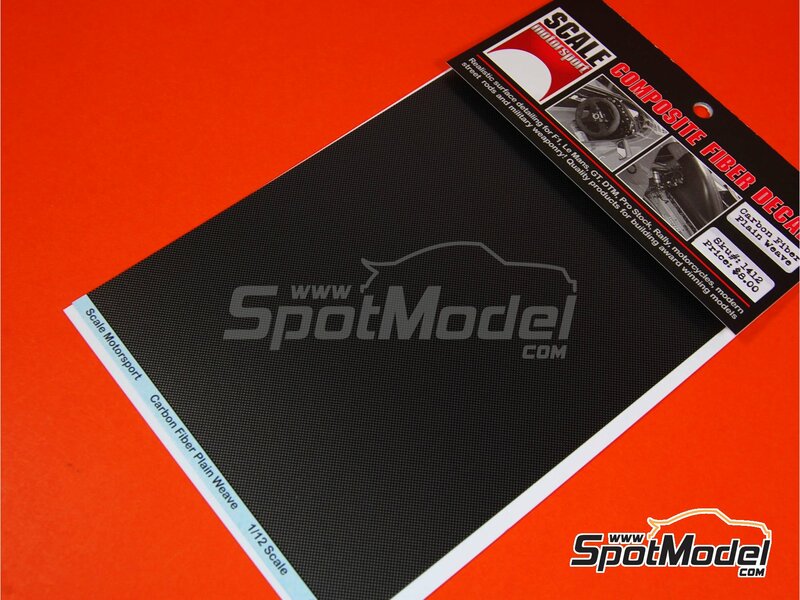 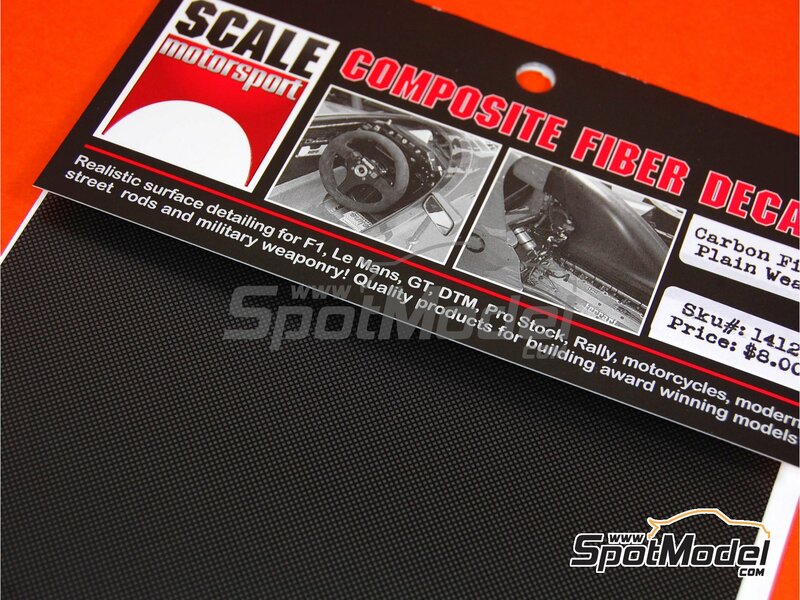 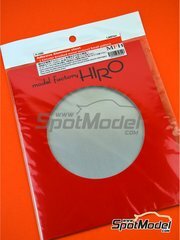 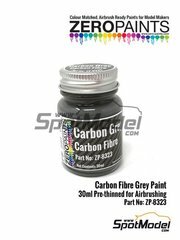 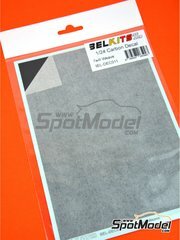 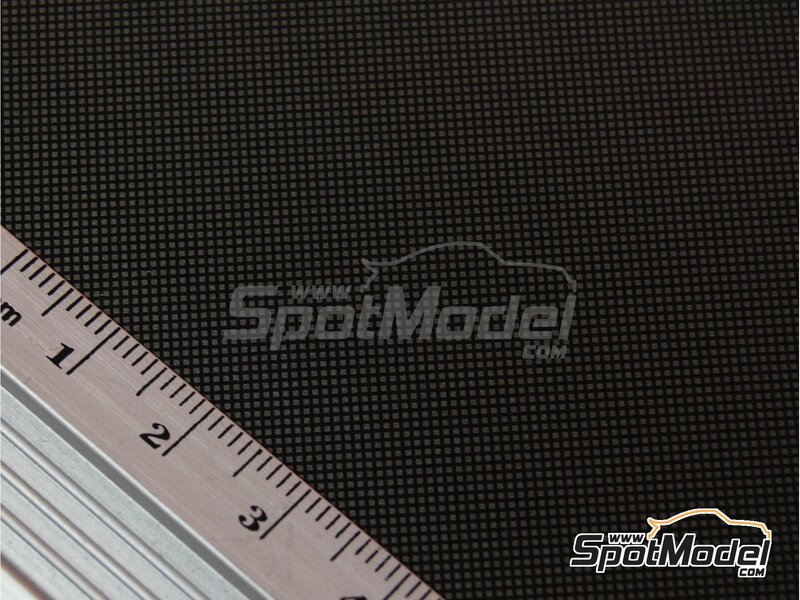 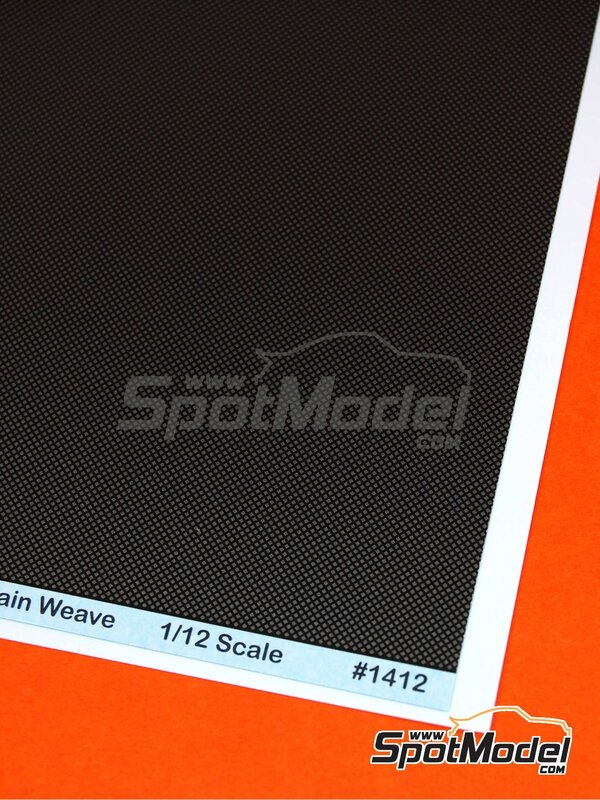 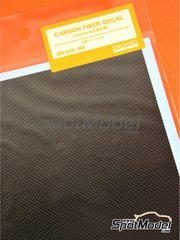 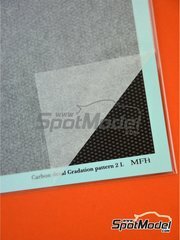 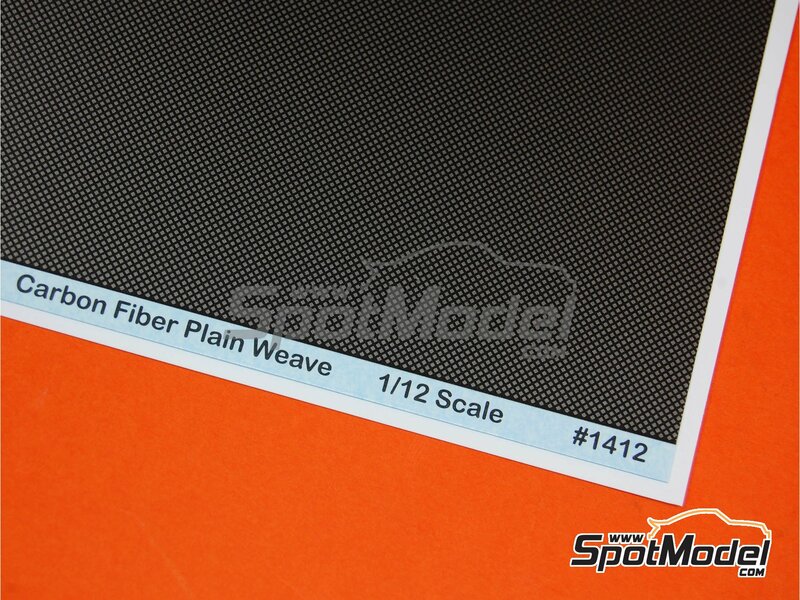 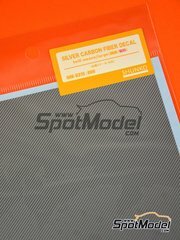 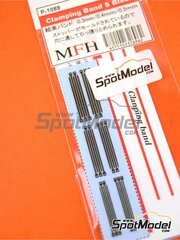 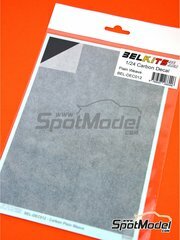 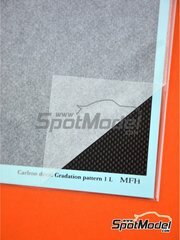 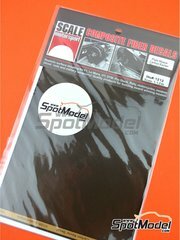 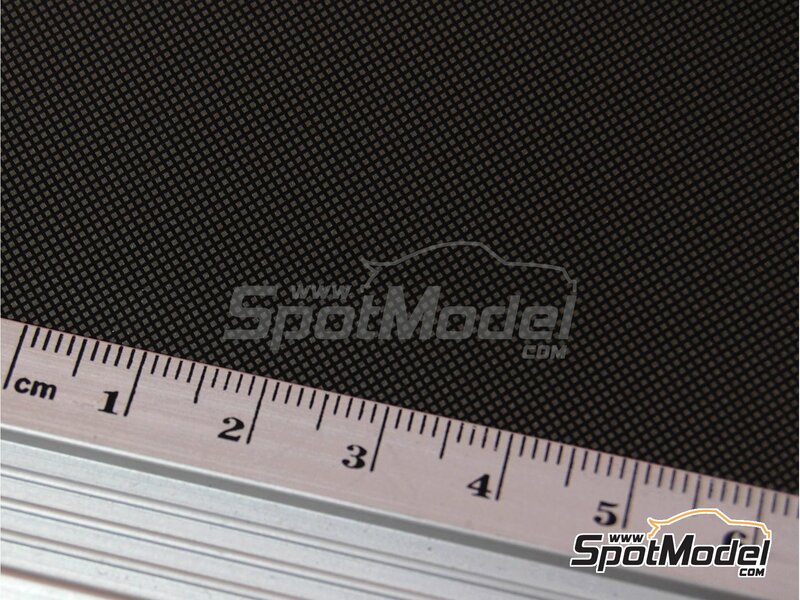 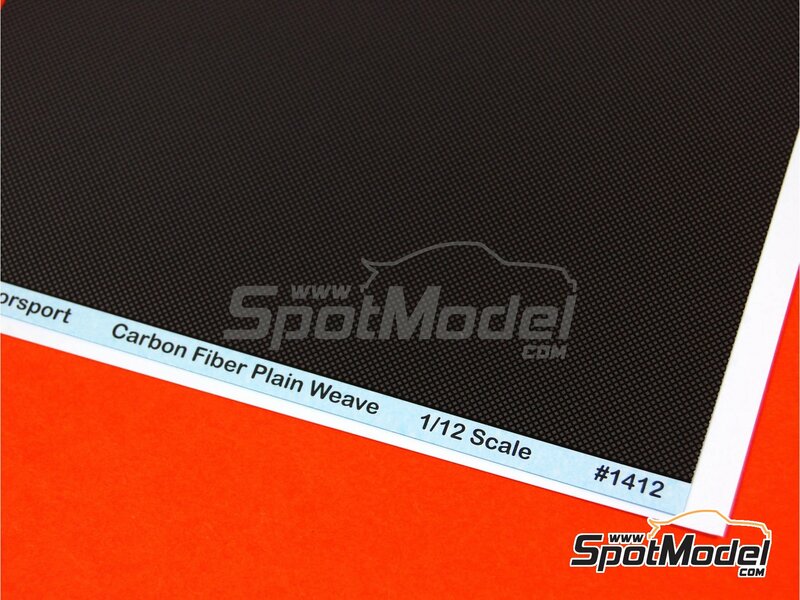 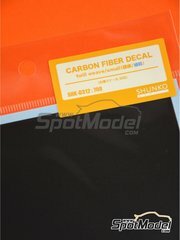 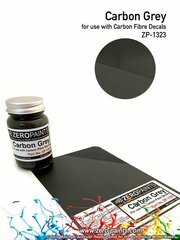 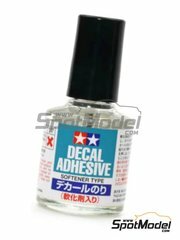 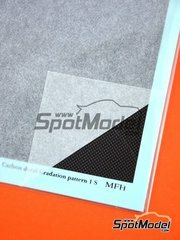 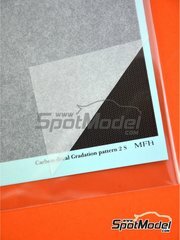 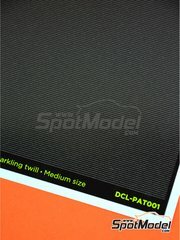 Decal sheet recreating an extra large sized square carbon fiber pattern in metallic gray and black tones, that makes it perfect for use in 1/12 scale. 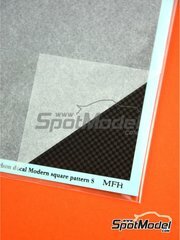 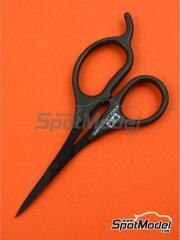 Sheet measures is 12 x 18.5 cm. 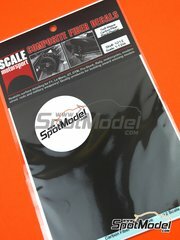 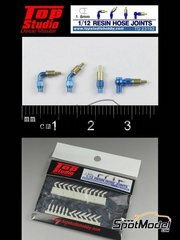 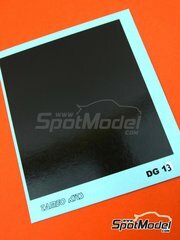 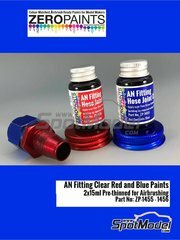 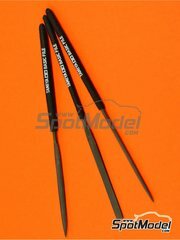 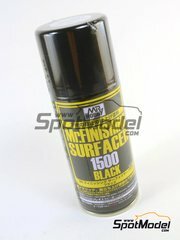 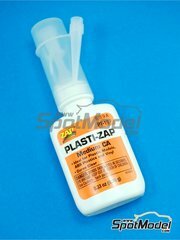 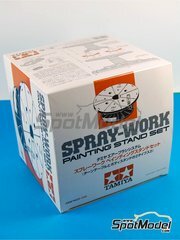 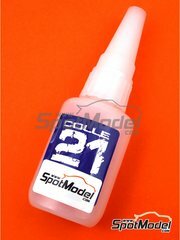 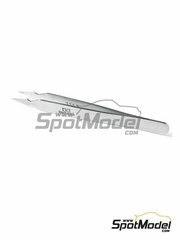 Manufactured by Scale Motorsport in 1/12 scale with reference SM1412 (also listed as 1412).